2010-11 - Thanks to our generous donors, Gary Brown and the Weigland and Lowery Families, who provided Ganako Science students with ten much needed microscopes to assist them with science lab. 2011 - Ganako was granted by the Government a Form 5 level class, and we are committed to continuing to provide the students with the tools they need to succeed. Thanks to our generous donors, Mr. and Mrs Dwight E. Smith, who provided 10 computers to the Ganako Library for the much needed computer lab. June, 2012 - New desks arrive with the donors name inscribed on them from our Donate a Desk program. 2013 - The new Science Lab kicks off. Thank you to our sponsors for making this a reality. Special thanks to Edward Baker and For the Love of HCB Foundation, and the Virginia Wellington Cabot Foundation. These labs are allowing the students to study and work on experiments in a government certified laboratory, which qualifies the school for A- level classes! A group of friends, in remembrance of Hannah Baker, successfully completed fundraising for 1 of the new Science Rooms. Hannah Baker came to Tanzania with her husband Edward Baker for their honeymoon and stayed at Gibbs Farm. Unfortunately, only a year later she tragically passed away. Because of Hannah's love for Tanzania, Edward wanted to help the Karatu community in her name. He started the Remembering Hannah Baker Foundation and did an exciting fundraiser, "The 3 Peaks Challenge", which made enough money to build an entire Science Lab classroom in Ganako School! 2014 - This year an additional 72 Stools and 9 concrete tables were added to the Science Lab. Thank you to our many sponsors on this ongoing project to provide a science learning environment for the students. 10 office chairs and 5 double tables were constructed and installed in the Secondary School. 2015 - Your donations provided Samsung E-Reader Tablets to the Library. These tablets are being used with the existing Rachel PI learning program and will also be used for E-Book access and other learning tools available to download online. We will continue to require funding for internet access in order to download the programs and content on an ongoing basis. 2016-2017- Ganako Science Lab has received ongoing support for lab supplies which allow the students to do actual experiments and prepare for the national exams, rather than just studying the subjects from text books. This has made a great difference in the students learning options and understanding of real life science. Special thanks to Jennifer Jaynes and Remembering Hannah Baker Foundation for their support and fundraising. 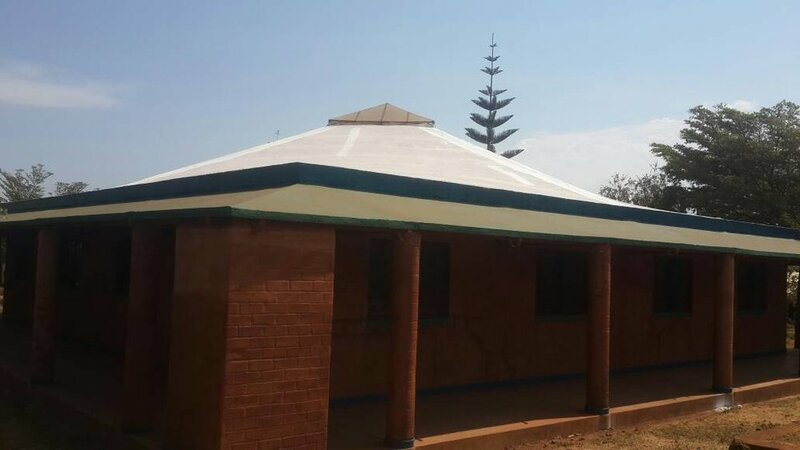 2017- 2018 Ganako Library was given a new paint job, keeping it updated and one of the most unique earthquake resistant architectural structures in the Karatu area. We are dedicated to ongoing support of the Ganako Librarian and share the costs of her salary with the school. Your support in keeping a professional librarian at the school is greatly appreciated. One of Karatu Education Fund’s long-term projects was to build a library at Ganako Secondary School. The building was carried out by Bricks for Life and was completed in 2010. Find out more about Bricks for Life, and see pictures of the construction of the library. We are so proud that our librarian student, Rehema, graduated in 2015 from the National Librarian Training Program! Rehema now works as the first librarian in Karatu, at the Ganako Library. We will be continuing our efforts to fund this valuable program, one of many that will need support in upcoming years. If you are interested in donating books or other items to upkeep the library, please contact us.